Crisis Chronicles Press is thrilled to announce the publication of Turnstile Burlesque, a stunning new collection of poems by John Greiner. —John Dorsey, author of Appalachian Frankenstein. 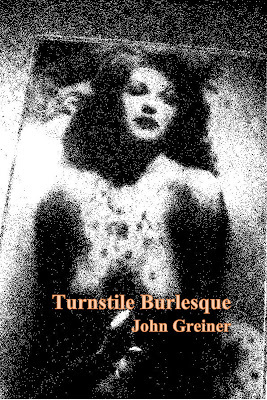 Turnstile Burlesque by John Greiner features 25 poems on 36 pages, is 6 x 9", perfect bound, with cover image by Steven B. Smith, and is available now for $7 from Crisis Chronicles Press, 3431 George Avenue, Parma, Ohio 44134 USA. 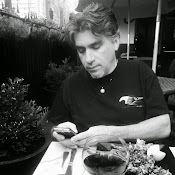 John Greiner is a poet, playwright and short fiction writer who lives in Queens, New York. 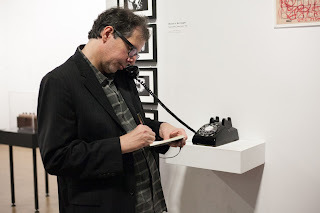 His previous publications include The Laundrymen (Wandering Head Press, 2016), Bodega Roses (Good Cop/Bad Cop Press, 2014), Modulation Age (Wandering Head Press, 2012), Shooting Side Glances (ISMs Press, 2011) and Relics From a Hell's Kitchen Pawn Shop (Ronin Press, 2010). Greiner's plays have been produced in New York City, Chicago and Gloucester, Massachusetts. His work with photographer Carrie Crow has been shown in galleries, museums and public spaces in New York, Los Angeles, Paris, Venice, Hamburg and Berlin.